Another climate COP ended in the backdrop of extreme weather events worldwide – ravaging wildfires in Europe, massive hurricanes that devastated the Caribbean islands, record breaking floods in Asia, major droughts in Africa, just to name a few, causing the deaths and displacement of thousands. Many defined COP 23 as mainly technical or a “process COP”, but it was during this COP that many of the details had to be hammered out for the development of the so-called “Paris Rulebook” which will set the guidelines on how Parties will implement the Paris Agreement. This COP was meant to set the conversational ground for the adoption of the rulebook in COP24 in Poland. This has been, indeed, a bittersweet COP that ended the 18th November early in morning with the “Fiji momentum for implementation,” a decision that sets the stage for negotiations in 2018. To start with the “sweet” part of COP 23, the long overdue Gender Action Plan – mainly aimed to mainstream gender in all processes and stages under the UNFCCC – was adopted. However, questions about how it will be funded and implemented still remain. 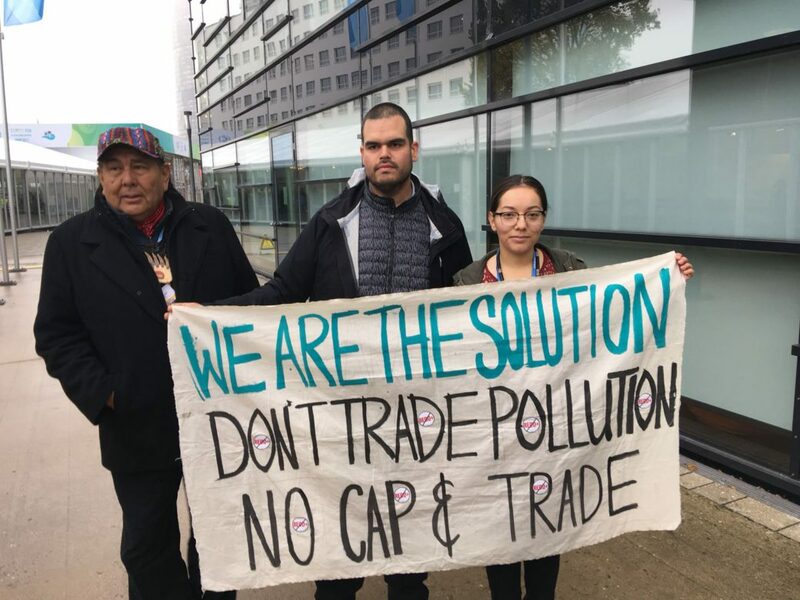 Likewise, after arduous discussions, the Local Communities and Indigenous Peoples Platform launched in Paris during COP21, was also operationalized. The platform mainly aims to build the capacities and strengthen the engagement of Indigenous Peoples and local communities under the UNFCCC. Another breakthrough was in agriculture, and after five years of deadlock, parties made progress and produced a draft text which included livestock as well. However, it will be good to keep an eye on how the issue of agriculture is further developed as it could take a dangerous drift if some of the controversial Climate Smart Agriculture and market-based proposals gain strength. On the “bitter” front, despite developing countries repeated demands, developed countries were reluctant to ratify their pre-2020 commitments. After many days of consultations, Parties finally agreed on a way forward to pre-2020 action draft text, which is far from sufficient given the climate urgency, but was adopted in the “spirit of compromise”. For instance, one of the paragraphs in this text states that countries which have not ratified the Doha Amendment, which established a second commitment period of 2013-2020 for the Kyoto protocol, will receive a letter asking them to do so. Loss and damage was also a hot and contentious issue at COP 23. Loss and damage broadly refers to the damaging impacts of climate change that occur despite adaptation and mitigation efforts in developing countries. The onus falls on those countries which have historically contributed the most to climate change (industrialized countries) to economically support the vulnerable developing countries that are suffering loss and damage. Further talks on finance for loss and damage have been postponed to next year. Developed countries keep on eluding their responsibilities and instead of making strong financial commitments, they prefer to kick the ball into the risk insurance industry’s court. This raises two important issues. First, this type of insurance does not include longer onset climate threats such as desertification and second, this opens the door to more private sector. Climate finance was a sore point at COP 23. The Paris Agreement mandates developed countries to financially support developing countries with respect to mitigation and adaption in its Article 9. But this has hardly been given priority and funds raised have not come close to the US$ 100 billion per year by 2020 pledge made my developed countries. At COP 23, Parties finally decided to submit information on how they will scale up finance every two years starting in 2021, but the conference postponed talks of finance to COP 24. After a relative rapid operationalization of the Green Climate Fund, some placed their hopes in this mechanism as one that would deliver much needed financial support to vulnerable countries. However, although some progress has been made, there are still many issues and policy gaps that remain unresolved, and little money has actually been disbursed. Although the GCF promised a 50/50 allocation of money for mitigation and adaptation, the latter is being left behind as many developing countries pointed out during COP 23. Many board members argue that they are not sure about what adaptation really is, and how it can be separated from development projects. There also is little knowledge on how projects can be designed in a participatory manner so that they reach women and men on the ground and support initiatives of Indigenous peoples and local communities to become more climate resilient. Ironically, and despite some new contributions were pledged (eg Germany promised €50 million), the mechanism that has plenty of experience on this, the Adaptation Fund, has little money. Due to the lack of sufficient financial commitments to address climate change, the role of the private sector and the need to leverage money from the same has once again become one of the most echoed mantras within the halls of the COP. Involving private sector in public governance and finance is very tricky, mainly within some sectors such as forestry. It makes governments dependent on the private sector and it can bring to the table actors whose interests are contradictory to that of the climate agreement. Many have vehemently opposed efforts to address such conflict of interest. The further involvement of the private sector might partially explain the big efforts during COP 23 to operationalize Article 6 of the Paris Agreement, which largely deals with market-based approaches which have failed to address climate change so far, and the rush of some intergovernmental agencies to develop and test potentially risky technologies. In fact, we have seen some worrisome developments around geoengineering and Carbon Capture and Storage (CCS), particularly Biosequestration with Carbon Capture and Storage (BECCS) in COP 23. Although it was not formally discussed during the official negotiations, they were aggressively promoted during side events, publications, and exhibitions under the context of Carbon Dioxide Removal technologies. CDR refers to technologies that take out carbon from the air and store it underground. The International Panel on Climate Change is placing more and more emphasis on these questionable technologies as well. Putting aside the dangers of geoengineering and BECCS and the fact that they are false solutions to climate change, the mere consideration of these technologies diverts the attention away from real and existing solutions. Such technologies strengthen the belief that silver bullet technologies will fix all problems instead of collective efforts to address the root causes of climate change such as fossil fuels, unsustainable consumerism, large-scale meat and animal feed production, massive bioenergy production, deforestation and many other sources of greenhouse emissions. For anyone who has attended any climate COP, it is clear that there are two very different rhythms of climate action at play. One is the diplomatic way which responds to the urgency of climate change with empty words and meaningless handshakes, while little is done in terms of effective responses. The other is the rhythm of the Earth, Peoples and Communities´, who demand real, just and truly transformative actions because there is very little time left. Quoting the intervention delivered by Climate Justice Now! during the closing plenary of the Subsidiary Bodies: “For some of you this may be a battle of ideas, but for communities around the world this is a battle of life and death”.